Experience nature by exploring the canopies of Carolinian Canada. 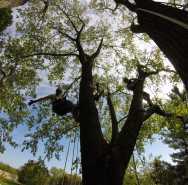 Join us in learning how to successfully rock climb, cave and tree climb in an unmatched adventure! Perfect for all nature lovers, this experience will give you a new outlook on our local wilderness. Visit our website for more details.